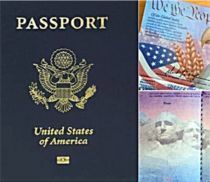 As a TV Travel Show Producer, I get a lot of great opportunities to work with the major players in the travel industry and this project was no exception. My company, CMP Media Cafe, was honored to have CLIA (Cruise Line International Association) contract us to produce a satellite media tour to get the word out about National Cruise Vacation Month and the World's Largest Cruise Night. 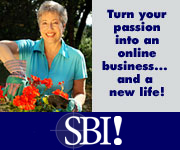 We pre-booked interviews with 28 television and radio stations across the country plus several internet sites as well. 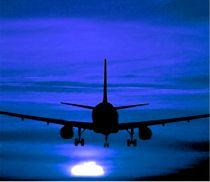 The Travel Channel's Tracy Gallagher did an amazing job of giving TV viewers and radio listeners insider travel tips and sharing from her own experience why she thinks cruising is one of the best values in vacations. When you a see a live shot from a remote location, you might take it for granted as television pros make it seem simple and effortless. However, there is a lot of work that goes on behind-the-scenes to get a live shot on the air during a remote like the one we produced in California for this project. For our client, CLIA, it was very important that we had a cruise ship in the live shot. 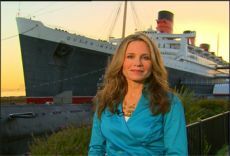 We explored various options from New York to the Bahamas to Long Beach and determined that the RMS Queen Mary, which is permanently docked in Long Beach, California, and a member of the Cunard Cruise Line, would be the perfect back drop for the live shot. Not only is it a magnificent ship, but it also solved a lot of logistical issues since it is permanently docked. If we had set up our shot at an active cruise terminal, we would have had to time the ship's arrival with our interviews and navigate the traffic flow of disembarking passengers as well. 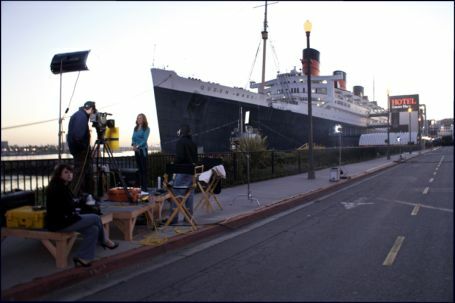 Pre-Production: Our work started six weeks before our production date with the first and most important piece of bringing the shoot together and that was securing permission to use the RMS Queen Mary as our live shot background. Our contacts at CLIA's public relations agency paved the way with Cunard Cruise Lines who put us in contact directly with the RMS Queen Mary. We cannot thank the Queen Mary enough for rolling out the red carpet for our production team including generously providing rooms on the ship for Tracy and myself the night prior to our shoot since we both had to be on location during the wee hours of the morning. Next, I worked at assembling an A-Team of Live TV Remote Production professionals. 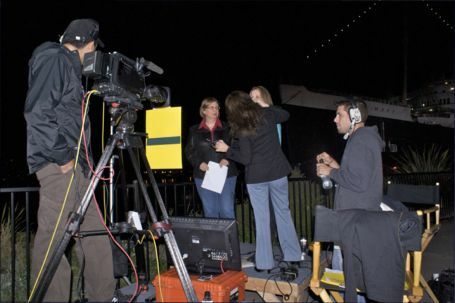 My studio manager introduced me to the best pros in the business for this task many years ago and we've produced remotes all over Southern California from the Rose Bowl with HGTV's Susie Coehlo to a Vineyard in the middle of the Coachella Valley outside of Palm Springs with Oprah's Trainer, Bob Greene. Our biggest challenge was lighting the ship since our first live shot was going to be around 4:15am PST for a 7:15am East Coast interview with our first TV station. The Queen Mary agreed to leave their lights on for the entire night since they usually turn them off at 3:00am. 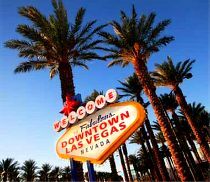 I knew to ask about this BEFORE the day of the live shot since I experienced a near production disaster when providing a live shot for Travelzoo on the Vegas Strip a few years ago. The Paris Hotel's Eiffel Tower was our background shot for their story, "Europe without the Euro." We were about 30 minutes away from our first live shot at 3:30am in the morning when suddenly the lights of the Paris Hotel's Eiffel Tower went dark. It was most fortunate that we were set for the shot from Caesar's Palace who's parent company, Harrah's, also owned the Paris Hotel. A quick phone call by our hotel contact to the engineers got the lights back on before our first live hit and the near live shot disaster was averted. When you're producing live television, the devil is in the details and you cannot afford to miss even one of those details or you risk not getting on-the-air. Here's an inside look at just some of the details I needed to take care of prior to the day of production: schedule an initial site survey with my production engineer to trouble shoot any production issues prior to the shoot and coordinate logistical issues; write the message point script for the talent; oversee the booking of television and radio station interviews; determine and identify on-site production personnel for the day of the shoot; hire a make-up artist; order catering for the day of the shoot; and book satellite space to make sure our interviews were transmitted over television airwaves. Also, for this project, I had to have a small platform constructed for our talent and cameras so that our live shot was not ruined by "too much fence" that borders the property. Finally, I wanted to make sure that we had a fantastic still photographer for the broadcast to document the production behind-the-scenes so I booked Linda McCullough who has shot lots of celebrity events. Production (On-the-Set): The day of production is a very early one indeed. Our satellite truck and crew arrive on-site a minimum of three hours prior to our first live hit and for this morning that meant a crew call time at 1:00 a.m. (as in the morning). There's a lot to be done to get the shot ready by 4:15 a.m. including setting lights for our talent and in this situation, setting lights for the ship as well. Our audio technicians set up phone lines for our IFB lines. The IFB (Interruptible Feed Back) is an earpiece that the talent wears so she can hear the studio anchor's questions for each interview. Our camera crew has to set up our staging area and live shot including cable connections from the camera to the satellite truck which will transmit the live shot from our control room. Ever wonder what goes on inside the satellite truck? Well, the satellite truck is Master Control and is literally a television control room on wheels (and much more). In the truck, we get the stations on the phone to discuss how much time we have for each interview, verify that they can see our satellite transmission, and verify that they can also hear our audio usually by asking our talent to do a quick countdown. Before the interview starts, I can talk with the talent through the IFB earpiece and let her know how much time we have for the interview and the name of the anchor she's talking to. On-the-Air: Once the interview starts, I'll call the shots of each interview determining when we'll roll video to support what Tracy is talking about and when to cut back to Tracy. As an Executive Producer, I am only as good as each team member and my A-Team makes my company look good. Charlene Allen (in the photo above on the right) is my number one Phone Producer who gets stations on the phone to coordinate each interview. She's awesome and I can't imagine working a project without her. That's a Wrap: Three of my favorite words, "That's a wrap," and music to the crew's ears. I get to say those words after a long morning that took our satellite transmission to approximately 28 cities around the country in five-and-a-half hours. Space travel (via satellite) is very efficient indeed. I hope you've enjoyed this behind-the-scenes tour of a live TV broadcast as I've loved having you here. You know, Tracy and I both would love for you to get the latest travel news from us directly so follow us on Twitter @TracyGallahger and @TravelProducer. A Final Word about Cruising: You can visit CLIA’s website – cruising.org – for more details on how to find a CLIA-certified agent near you, who can help you find the cruise that fits you the best. Bon Voyage!